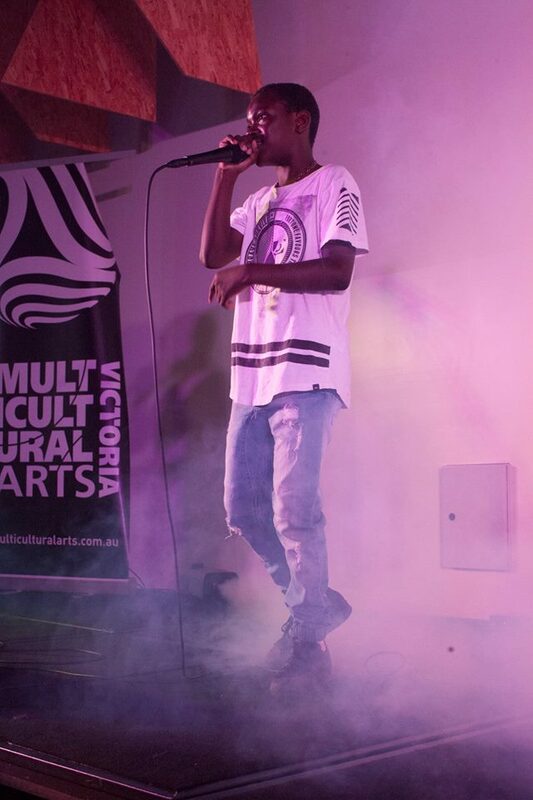 Lawi Bisimwa is the youngest member of the Ignite Sound Project at only thirteen years old, and is in Year 7 at school in Shepparton. Lawi has mostly grown up in Australia with his Congolese family, surrounded by music and dance. His favourite artist and mentor is another young Congolese-born, Shepparton-based artist/ producer Kenneth Bwihambi, the founder of independent label EH Music. Lawi did his first performance with Kenneth at seven years of age in 2012 when he got his citizenship. He loves hip hop, loves performing and is bursting with talent, confidence and energy.